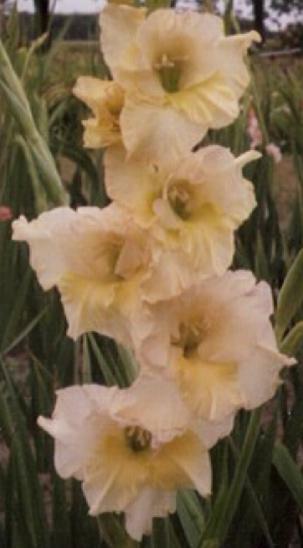 Gladiolus 'Lemon Blush D C-10' - 313VE Nursery? 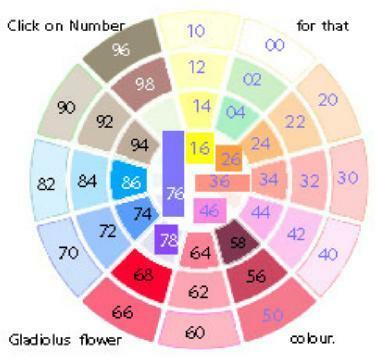 which is a member of the Grandiflorus Group with Medium-flowered Pinkish with light yellow - Yellow (Light) 12 - petals with a deeper yellow throat and pepper spots in inner petals bloom in Early Season (70 days). Registered by Schalow in 2008. Field height is 52 inches and it has 20 buds on a single 24 inch flower spike with 7 florets which stay open together - 6 in colour. Pinkish with light yellow - Yellow (Light) 12 - petals with a deeper yellow throat with pepper spots in its inner petals in July. Cascade x Drama Pinkish with light yellow petals with a deeper yellow throat with pepper spots in inner petals. 70 days." from North American Gladiolus Council . This seedling D C -10 is a cross between Gladiolus 'Cascade' and Gladiolus 'Drama'.